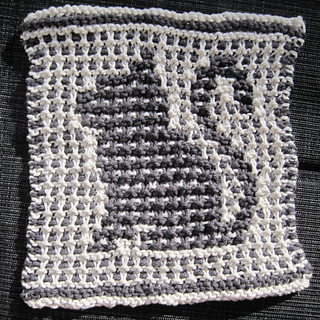 The first time I showed this project to my boyfriend, he pointed and (in the tone of a certain helpful robot) replied: “Hairy babyyyy”. 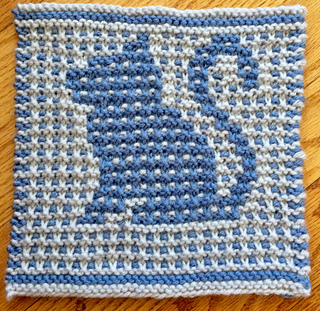 Thus, “Purry Baby” came to be. 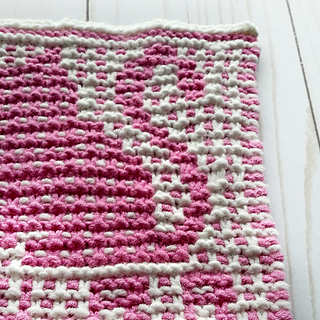 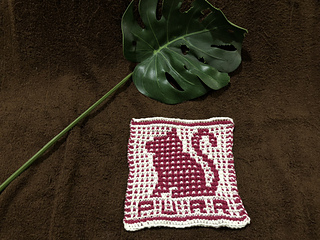 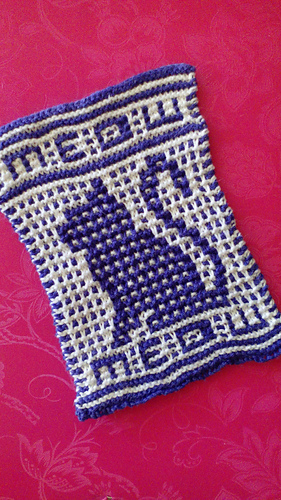 This pattern comes fully written & charted, and is worked in mosaic style with only one colour of yarn used at a time. 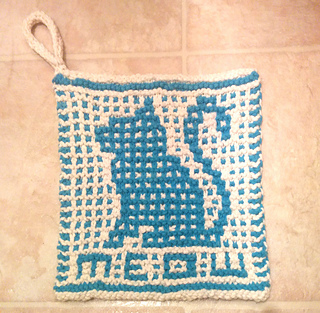 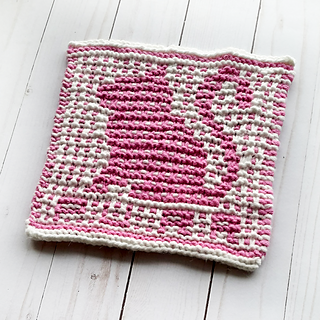 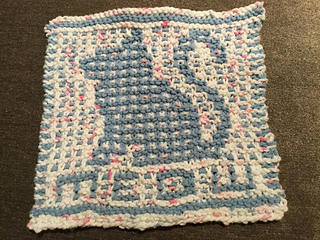 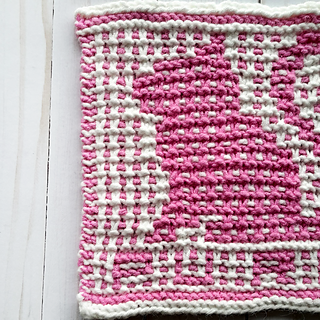 It includes options to make a plain gridded square, or to include the word MEOW or PURR under the cat. 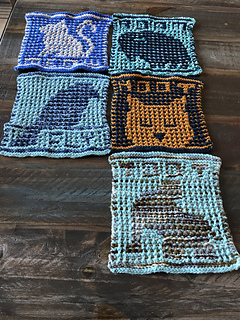 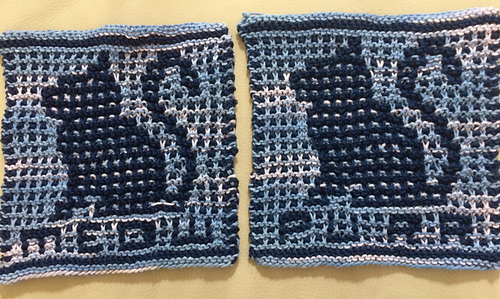 Some of my testers who didn’t include a word shifted the cat to be a bit more centered - once mosaic is worked out, switching the rows around a little isn’t too bad! 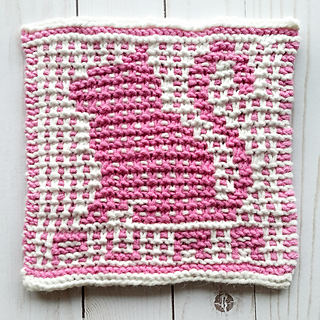 This project will be best suited to using two colours that contrast well - the striking contrasts will make your colourwork stand out. 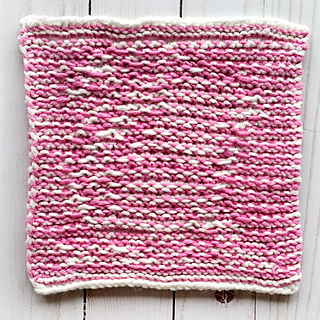 You’ll need roughly equal amounts of each colour. 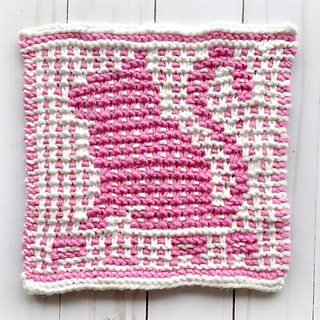 This is block #5 in a series of nursery/baby themed squares that will be released March 2018 - May 2018.